You probably didn't expect an article about nature writing to start off with a sci-fi novel, but admittedly, neither did I. I'm not a huge sci-fi reader, but I picked this up after one of my coworkers was raving about it, and--no joke--it changed my life. The series focuses on the exploration by a vague government agency of a few acres of quarantined wilderness known as Area X. For decades strange, inexplicable and sometimes horrifying things have happened in what otherwise appears to be a pristine nature preserve. 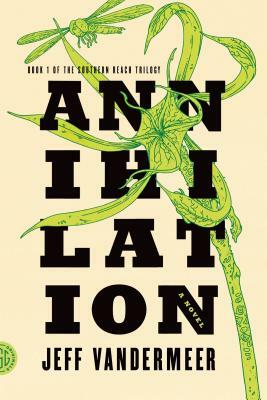 The whole Southern Reach Trilogy is an awesome blend of equal parts creepy and fun, but Annihilation, the first book in the series and winner of the 2015 Nebula Award for Best Novel, makes this list for its homage to nature writing. The narrator, known only as the Biologist, is naturally a keen observer of the plant and animal life of Area X and of her fellow explorers, too. Did you know that squirrels communicate with tail twitches? Or that most of the bird species you see in an average day aren't native to North America? 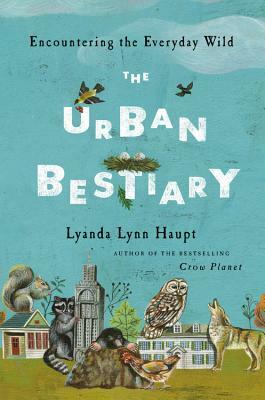 In her book, Haupt reforges the medieval bestiary for the modern age, taking readers into the lives of some of our most common furry and feathered city-dwelling neighbors. Drawing on history and folklore in addition to tracking techniques and observation, The Urban Bestiary highlights the often invisible ways humans and animals impact each other's lives in the ever-growing urban jungle. 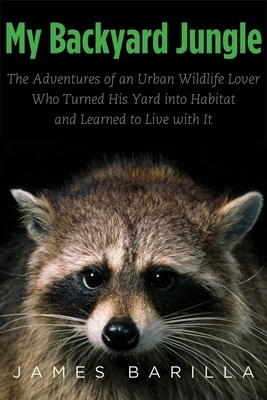 Haupt has a great passion for wildlife that shines through her writing; thanks to this book I'll always have a warm feeling towards opossums and a great curiosity about pigeons. This beautiful book, released in association with the NYC Dept. of Parks and Recreation, has to be one of the most visually appealing guides ever published. Written by naturalist Leslie Day, who's been justly referred to as "a sort of Julia Child of nature," the book focuses on the parks and Forever Wild sites throughout the city, with a full color illustration on nearly every page to describe one of the many animals, plants, and fungi who also call NYC home. 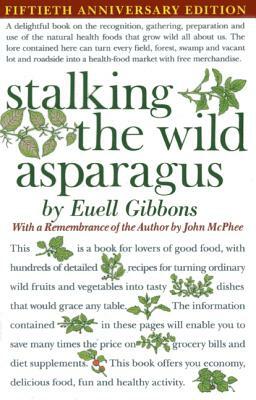 Part field guide, part cookbook, Stalking the Wild Asparagus is one of the (if not THE) most complete compendiums of the edible wild plants that grow throughout the US. From known edibles like wild berries, to cattails and dandelions, this book shows just how much natural abundance you can find in even the most urbanized spaces. Gibbons was a proponent of natural foods in the early 1960s, long before words like 'organic' and 'sustainable' started appearing in grocery stores and food commercials. His writing has a sort of old-school charm; extensive knowledge is paired with personal anecdotes and practical advice (such as which parts of a plant, while technically edible, aren't very enjoyable). Gibbons' charming prose makes this book a pleasant read in addition to a great reference. *While learning to munch on your own backyard is a very appealing prospect, urban foraging is a skill you can't afford to learn through trial and error. Always exercise caution when eating plants you find outside. If you aren't 100% sure what it is: don't eat it.